CDTI Jaipur is functioning since 16th Jan 2012 under the Bureau of Police Research and Development, Ministry of Home Affairs, New Delhi. Apart from the four other CDTIs at Kolkata, Hyderabad, Chandigarh and Ghaziabad. 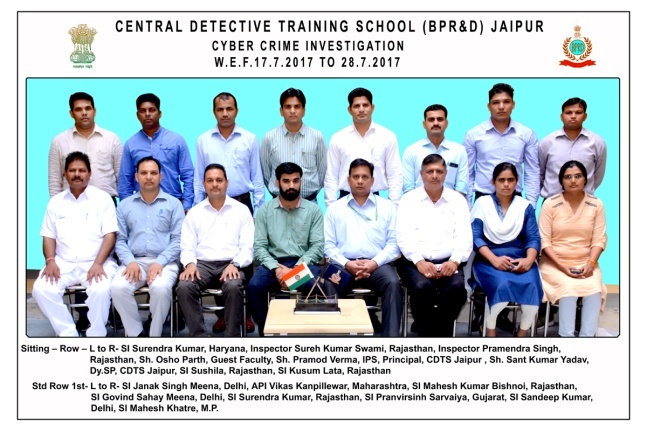 Central Detective Training Institute, Jaipur was set up with a mandate to provide training to police officers to improve the standards of crime investigation by familiarizing with various developments in forensic science. Keeping in view the changing crime scenario of the society due to rapid growth of cyber crimes, we endeavor to contribute our best to update the trainees with latest technical aspects of investigation to face the new challenges.